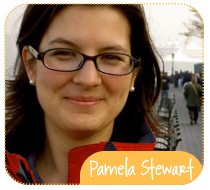 My name is Pamela Stewart. I am a New York State Licensed Massage Therapist, a certified reflexologist (ARCB), an Arvigo ® Practitioner and health counselor. I am also trained in yoga, meditation, herbal medicine, holistic nutrition and healthy cooking. I am a graduate of the Swedish Institute College of Health Sciences in New York. My training includes multiple modalities of massage including Swedish and Shiatsu as well as many advanced therapeutic techniques, including myofascial, medical massage, deep tissue, sports massage, the Arvigo Techniques of Maya Abdominal Therapy ®, polarity, reiki and cranio-sacral massage. In addition, I am certified in pregnancy massage, both pre- and post-natal. I have a private practice in New York City where you will receive caring, knowledgeable, customized massage therapy and nutrition counseling. I provide a comfortable, clean space and use healthy, natural products. For the benefit of my clients, I take pride in following and tracking the progress of treatments. I love sharing the healing art of massage and knowledge about nutrition. I hope my work is an added inspiration for you to take charge of your own well-being. My passion is seeing the “ah-ha” moment: when you recognize that the simple, yet life-changing steps you’re taking lead to more optimal health, simply and naturally.